Hey, everyone! Today starts my Year in Review, in which I post my top shades that were released in 2012. I'm going to go day by day, color by color and pick my Top 3. Although, on some occasions... that might turn into a top 4 or 5. First up is Zoya Audrey, a ballerina pink jelly. It was released in March as part of the Limited Edition Peter Som collection. I usually do not like super fair pinks, sheer colors, or light shades. But I just loved this one. It's delicate AND if you're between gel fills, it actually creates a mini fill where your natural nail is growing in. 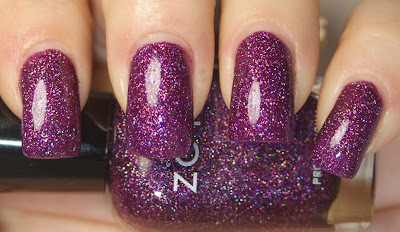 Second is another Zoya: Zoya Aurora. Really, does this surprise anyone? It's a gorgeous, rich fuchsia scattered holo that applies like a dream and makes quite the impact! Gah, I love it. Saint Germain Pink Lotus is one from early summer. It's a magenta creme that applies like a DREAM. I absolutely adored this shade. 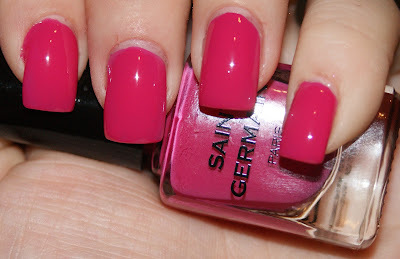 I know Saint Germain isn't a well known brand yet, but this was a top notch polish that I didn't expect to love. What would YOU pick as your top three?